It’s Silverstone 2017 and of course many people, especially fans of Formula One (F1) and Motorsport, like myself are glued to their TV sets watching the British Grand Prix for all the excitement that goes with such a great iconic event. The new owners of Formula One management, Liberty Media, run by Chase Carey, have even created a new event to display the cars and drivers in Central London on the Wednesday before the traditional Grand Prix weekend, to showcase the sport and bring it closer to fans – a true testament to bringing the experience of F1 closer to its customers. What’s interesting to me, as I’m watching Qualifying from the comfort of my sofa (sadly not attending F1 events this year) is that Eddie Jones, the celebrated and highly successful coach of the England National Rugby team (previously Australia as well), was at the Grand Prix too. Eddie was not there as just a fan, using his VIP status to get into the pits of the Force India team like many other lucky celebrities do. He was actually there to study the winning operating models of another team and another sport or industry, to see what he can learn from other high performance teams – in order to take that back with him to run his own team and organisation in Rugby Union. It is clear that Eddie Jones understands that to continue to succeed at a high level and to run his organisation successfully, and achieve its goals, it’s all about learning from other Operating Models from different industries, especially very successful and innovative ones like F1. Operating Models are key to building agility, accountability and action that delivers real tangible results to organisations. In business and in all organisations, great achievements and success, like winning a tournament such as the Rugby World Cup, comes from building the best possible operating model that can outpace and outlast your competitors. In my previous blogs, on how to build a target operating model that delivers, and the agile operating model of Singapore, I discussed how building an agile operating model is key to competitive advantage. It is the Operating Model that enables an organisation to execute its strategies and achieve the design and strategies defined by its business model. That’s right, business and organisational success comes from having an agile operating model, which in today’s fast changing and highly globalised business environment, fuelled by new technologies, including data intelligence and machine learning – and not from an effective and well designed business model (which might be too difficult to achieve). 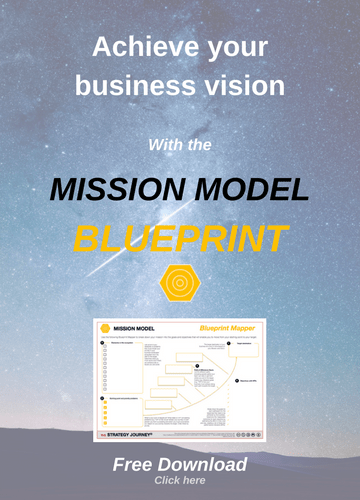 It is the operating model that enables a good business model to be achieved. Strategies need execution and execution requires a solid yet agile foundation within the Operating Model. It’s all about building capabilities, in people, processes, data and technology in the best possible way, and continuous improvement. The F1 industry being an innovation hub, has plenty of this operating model excellence that other industries can all learn from. It will be interesting how F1 learns to deal with the Autonomous Vehicle industry, which many believe could disrupt its current successes. In any competitive industry, be it sport, manufacturing, media, finance, or technology which all play a part in F1, or other less obviously aligned industries, there is always something you can learn from other industries and their value systems, value streams, customer journeys, operating systems and processes. It is vital to continuously study the operating models of other industries and learn how they adapt to service their customers, and then find ways to adapt these to your own. When you seek to apply what you’ve learnt and then improve the Operating Model of your organisation further through innovation, that is how you can build a competitive advantage. Great leaders of great organisations get this. They invest in learning and encourage their people to learn and develop new skills and new ways of doing things. They invest in ‘Innovation as a culture’ and they invest in building the right capabilities to enable their operating models to achieve great things. We already know Eddie Jones is a great leader who thrives from learning, and now you see him in action too, working on improving his team’s Operating Model to WIN. You too can learn how to develop a winning Operating Model for your organisation!